When gangsters come to the Krusty Krab to collect a bet, Mr. Krabs and SpongeBob do whatever they can to get them to leave. While talking in rhymes, SpongeBob and Patrick plan to make amends with Squidward for annoying him the day before. How to Draw Good, Like a Cowboy. 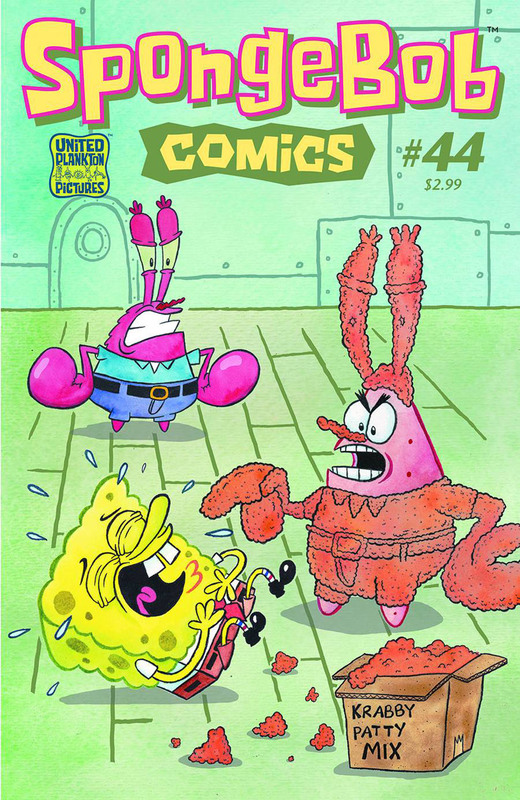 Mr. Krabs leaves SpongeBob in charge of putting stamps on promotional coupons, but things go unexpected when SpongeBob gets lost in the mail. Sandy shows SpongeBob and Patrick her new invention, the Mow-it-All Super Lawn Mower. SpongeBob invites Squidward to go to the opening day of Blockville. Mermaid Man and Barnacle Boy tell the story of how they got their giant fuzzy dice to a lucky contest winner. Doodles the Pirate uses SpongeBob Comics to defeat a group of skeleton pirates. Random fact: Blockville is likely a parody of Legoland.